This just might be the news of the day! Be More Chill, Joe Iconis and Joe Tracz's fan-favorite musical currently making its off-Broadway debut at the Pershing Square Signature Center, will move to Broadway's Lyceum Theatre in 2019. Previews will begin on February 13 followed by a March 10 opening night. Tickets are now on sale. "The fact that I get to make my Broadway debut as a writer surrounded by so many longtime collaborators and beloved friends both onstage and behind the scenes is a literal dream come true," said Iconis in a statement. 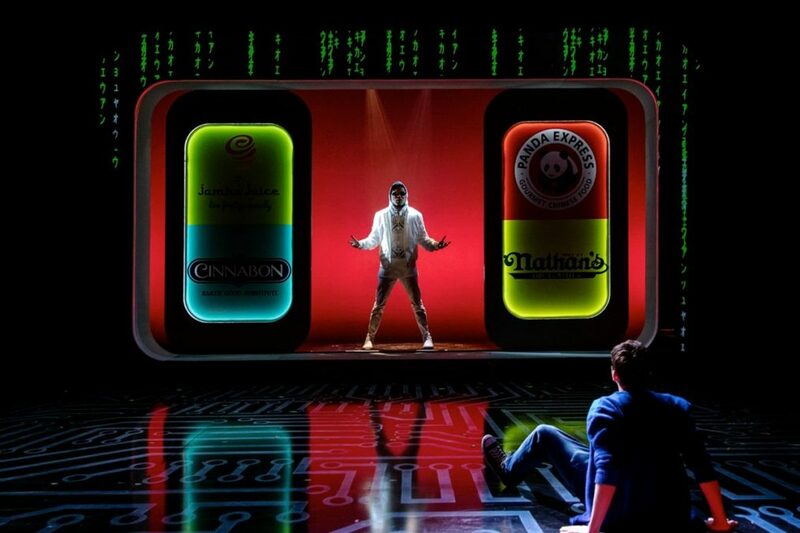 "Be More Chill has surprised me and Joe Tracz every step of the way and we can't believe that our celebration of misfits, losers and underdogs gets to take up residence on 45th Street." Based on the novel by Ned Vizzini, Be More Chill is the story of Jeremy Heere, your average, nothing-special teenager at Middleborough High in nothing-special New Jersey. That is, until the day he finds out about "The Squip." Thus begins a journey that pits Jeremy's desire to be popular against his struggle to remain true to his authentic self. Be More Chill features a book by Tracz and a score by Iconis. Stephen Brackett will repeat his work as director with Chase Brock as choreographer and Emily Marshall as musical director. The off-Broadway cast is led by Will Roland as Jeremy Heere, Jason Tam as "The Squip," Gerard Canonico as Rich, Katlyn Carlson as Chloe, Stephanie Hsu as Christine, Lauren Marcus as Brooke, George Salazar as Michael, Jason SweetTooth Williams as Jeremy's Dad/Mr. Reyes, Tiffany Mann as Jenna and Britton Smith as Jake. Broadway's Be More Chill will feature scenic design by Beowulf Boritt, costume design by Bobby Frederick Tilley II, lighting design by Tyler Micoleau, sound design by Ryan Rumery and orchestrations by Charlie Rosen. Be More Chill was originally commissioned and produced by Two River Theater in Red Bank, New Jersey in 2015.